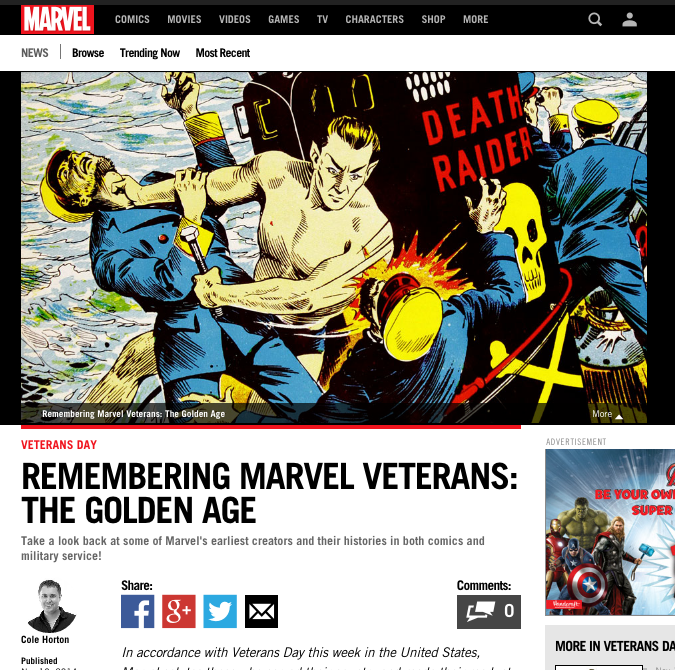 Throughout the week around Veterans day, Marvel.com features a series of articles celebrating the many talented creators who also served their country. From the World War II era to modern day, these creators bring their service experience to the pages of comic books. A highlight of the project was interviewing Neil Kirby, son of legendary comic creator Jack Kirby. Neil shed light on so many of his father's war stories, and I can't thank him enough for taking the time to share with me and the Marvel.com readers.